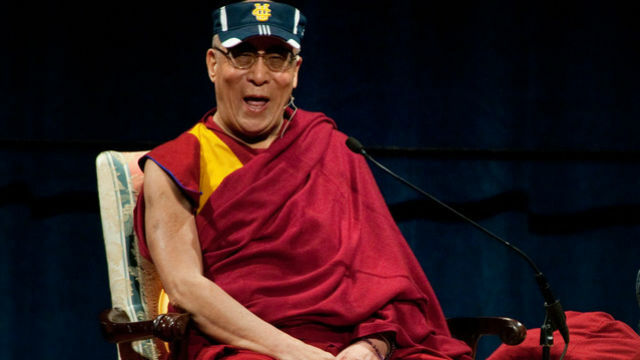 The Dalai Lama, the spiritual of leader Tibetan Buddhism, will celebrate his 80th birthday Monday by participating in a variety of events at UC Irvine. A picnic at UCI’s Aldrich Park will follow the discussion at 11:30 a.m.
A “panel dialogue” with “Nobel laureates, world leaders, professional experts and artists,” will be held at the Bren Events Center at 1:30 p.m. This is the second day of the Dalai Lama’s three-day visit to Orange County. On Tuesday, the spiritual leader will participate in a panel discussion starting at 9:30 a.m. on “The Significance of Education in Advancing Universal Human Values,” also at the Bren Events Center. The Dalai Lama has asked his followers to participate in a social media campaign documenting acts of compassion. The campaign, which encourages use of the hashtag, “With Compassion,” will include photos, quotes, video and other documents of acts of compassion that will be compiled into a montage to be shown to the Tibetan Buddhist leader. More information on the Dalai Lama’s visit can be found at hhdl80.org.